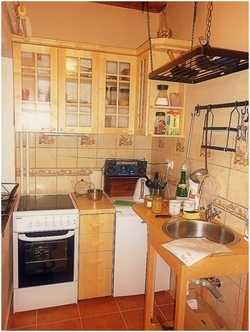 In this small but pittoresque kitchen is an electric stove with oven. The small fridge has one freezer compartment. 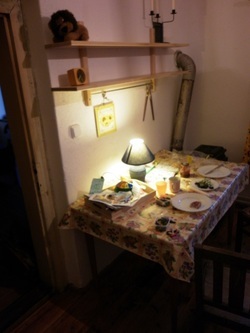 A microwave oven can be at your disposal. In this kitchen can only be coocked, not served. 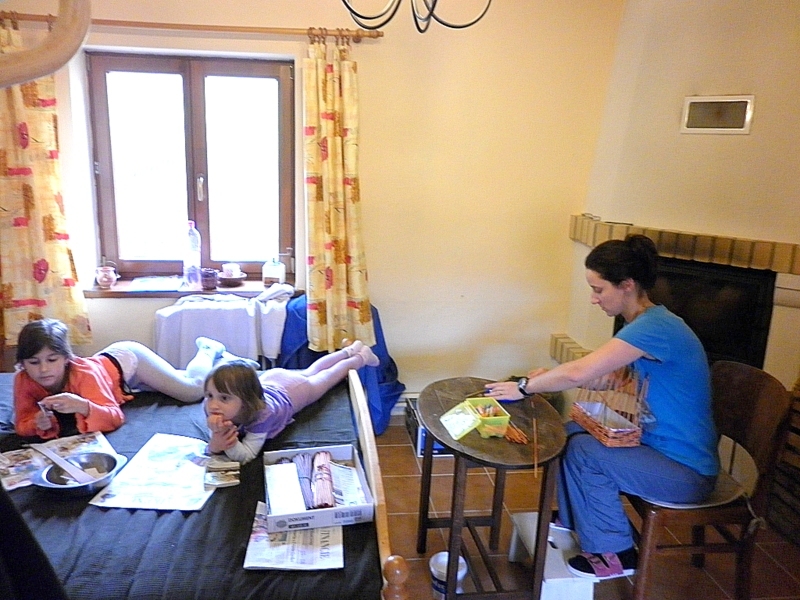 The kitchentable stays in one of the sleepingrooms. 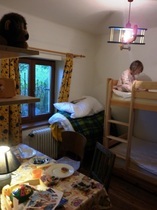 There is a bunk bed in this sleepingroom. 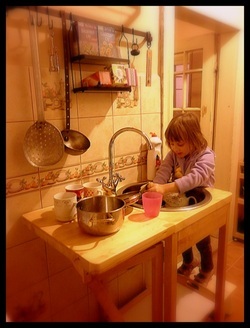 A kitchentable can be used. 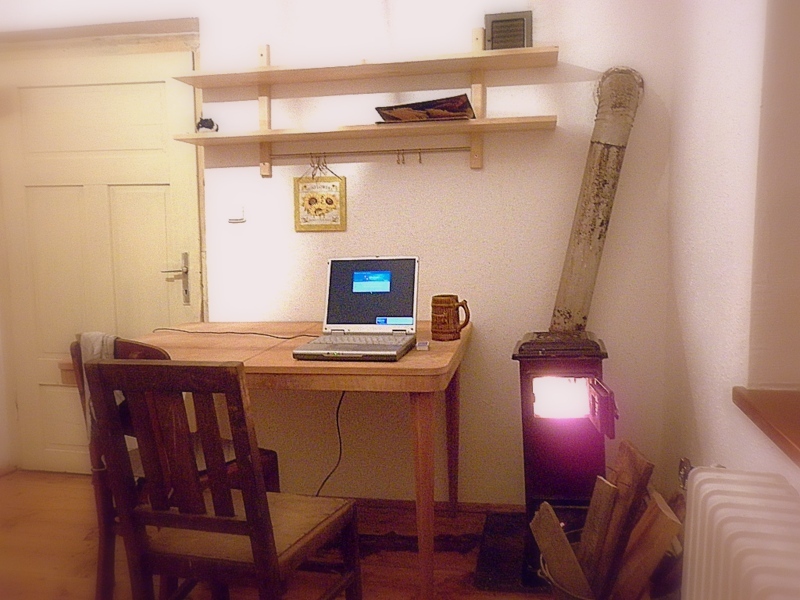 Next to the table stands a small stove. In the bathroom you can find a toilet and a bath. 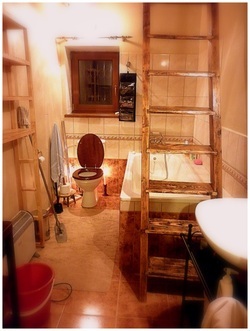 The rustic wooden staircase kept his position and serves a a decorative element. There is a double bed, a cupboard, small table, TV and also DVD player (only one satelite box active for the whole house). When it is still a bit chilly during spring or autumn, a fire can be made in the fireplace. 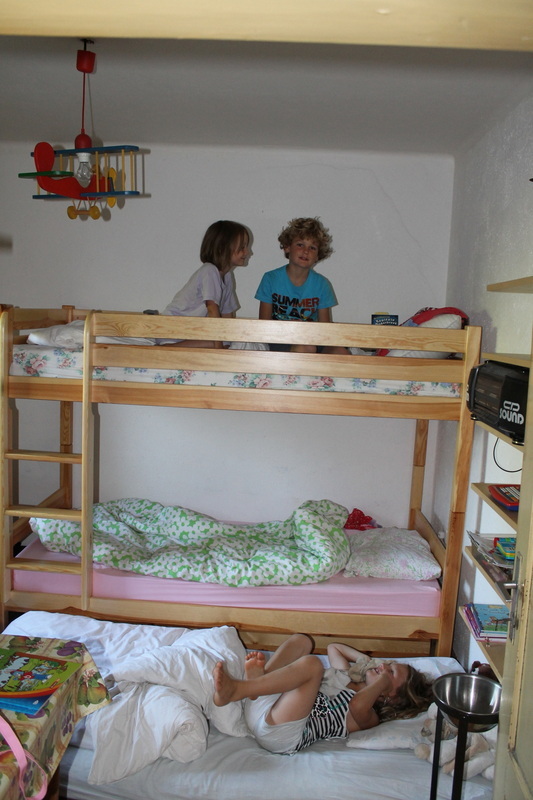 Bunk bed. Fun for the children.